Rates staged an impressive rally in November and December before bottoming out on the first trading day of 2019. The bounce was fairly abrupt at the time and it roughly coincided with 2017's highs. 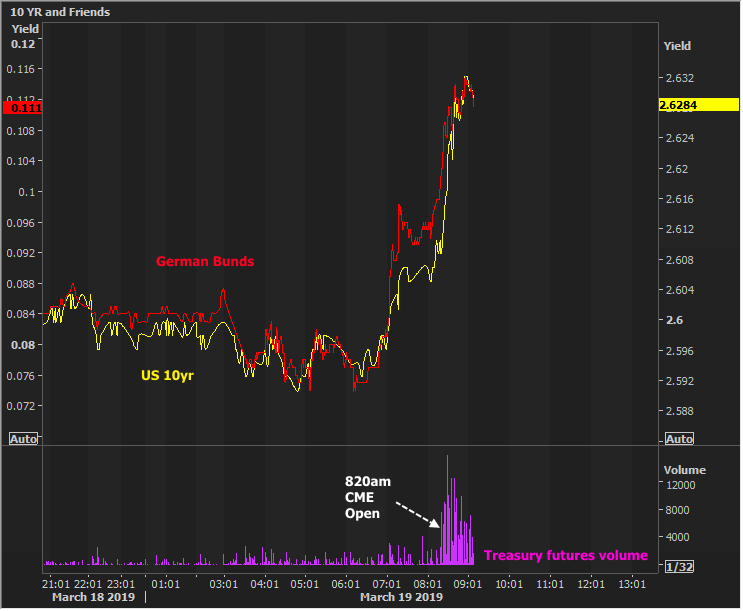 It was as if the bond market was saying those days are behind us and we won't be going back any time soon. After the January 4th bounce, there was some concern that we'd zoom right back up to previous levels from the 2018 range. But support kicked in by the 18th at an interesting level (2.80%). Why interesting? Because it marked the boundary of the range that was intact for most of 2018, and remember, the bond rally that ended 2 weeks prior bounced right at the boundary for the 2017 range. Long story short, bonds were beginning to carve out a new range in no-mans-land, in between the 2017 and 2018 ranges. That's when we began tracking the sideways/consolidation patterns with the expectation that they'd last until the March Fed Announcement. 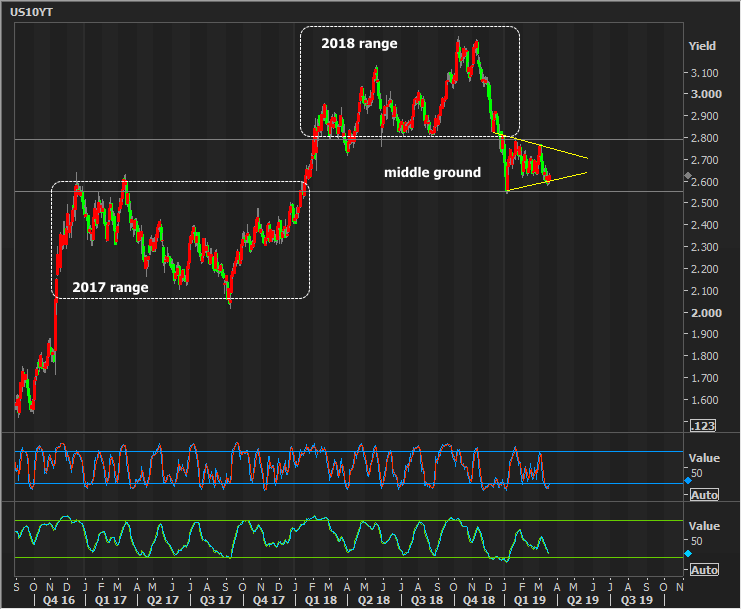 With that announcement coming out tomorrow and yields still very much inside the 2019 range, it looks like we made it. There are no significant economic reports due out today, although markets have been more volatile than yesterday on a combination of brexit-related headlines and opening-bell tradeflows in the CME. This update on MBS Live discussed the move in greater detail. Here's a chart showing the European market influence as well as the massive glut of trading that magically appeared right at 8:20am (CME Open).